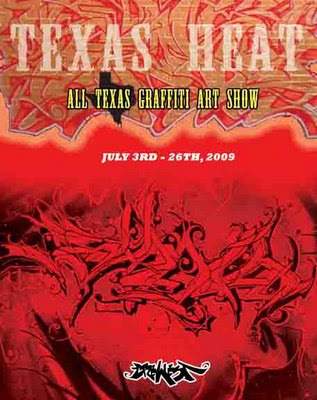 Crewest Gallery News: JULY SHOW...TEXAS HEAT! I'm really glad to see these guys are getting some love and respect!!!!!! 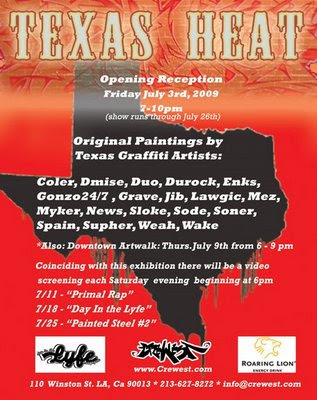 I met almost all of these guys out in Texas and I have to say they are some of the nicest most naturally talented artists I have ever met. Clogged caps and true skills....This one will be amazing!! !